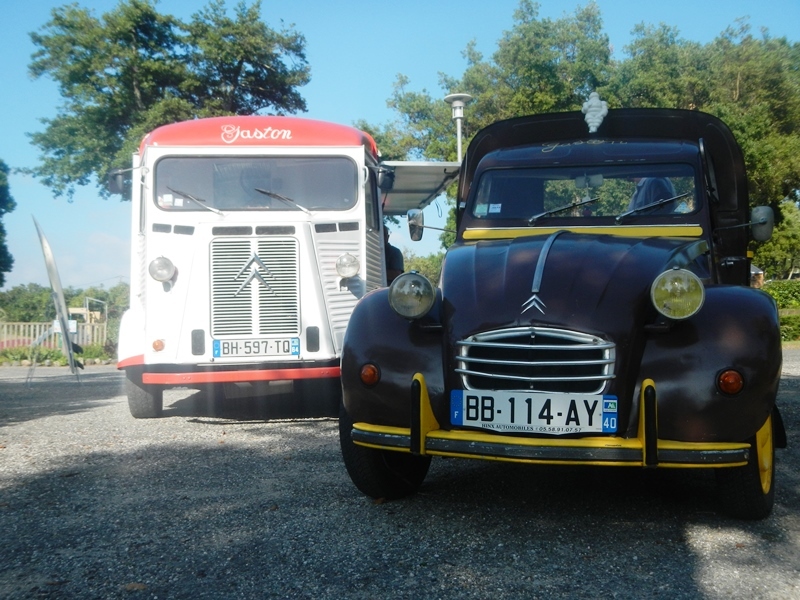 After a meal out in the lovely little town of St-Pied-a-Port the evening before, we decided to set out the morning after crossing the Pyrenees to our next stop Bayonne, on the west coast of France. The route we’d planned was fairly easy and mostly downhill, however the strong headwinds made the start to the day a bit harder than we’d expected. It continued to brighten up the further away from the mountains we got and soon it was blue skies all round. We assumed they were for some kind of speciality local sheep’s cheese however it wasn’t until Neola saw a sign saying “Fromage” pointing down a side road that curiosity got the better of us and we decided to find out what they were actually for. 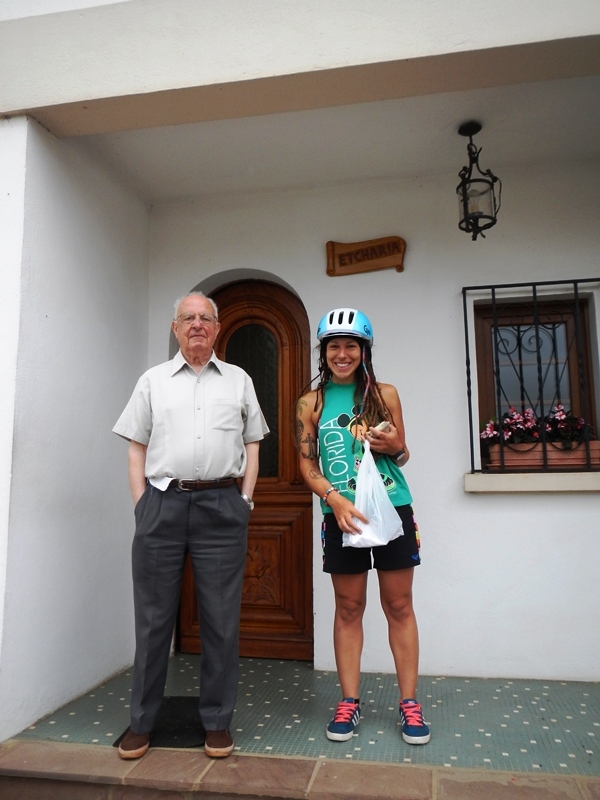 After turning off the road looking for fromage, expecting to find some sort of farm shop type delicatessen, we actually found a house. 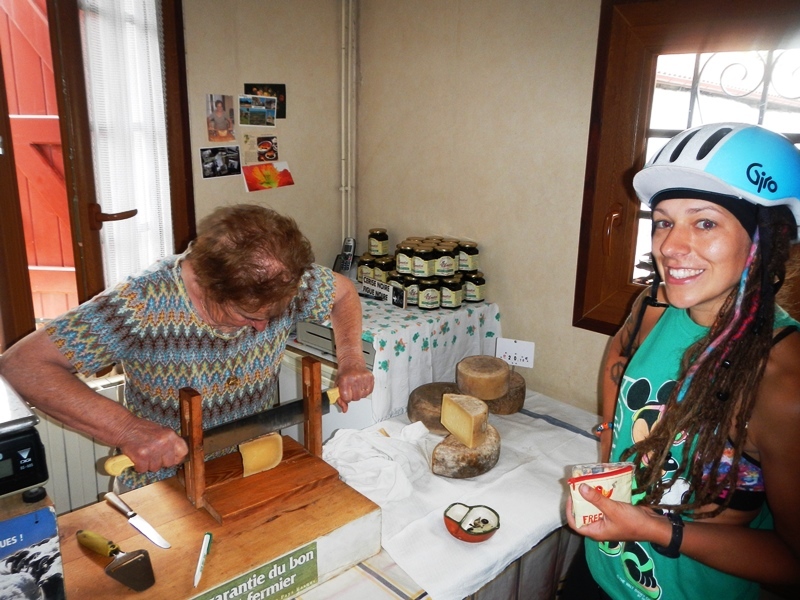 As we confusedly rolled up, a man came out to greet us and Neola tried her best in broken French to convey that we wanted to buy some cheese to go with our baguette. After listening intently and with perfect comic timing the man said, in very good English, “Would you like to buy some cheese?”. He invited us into his house to his cheese room where the man’s wife was sat waiting with some cheese and a big cheese knife. After tasting some (it was very good), we bought a chunk for our lunch and set off on our way again. 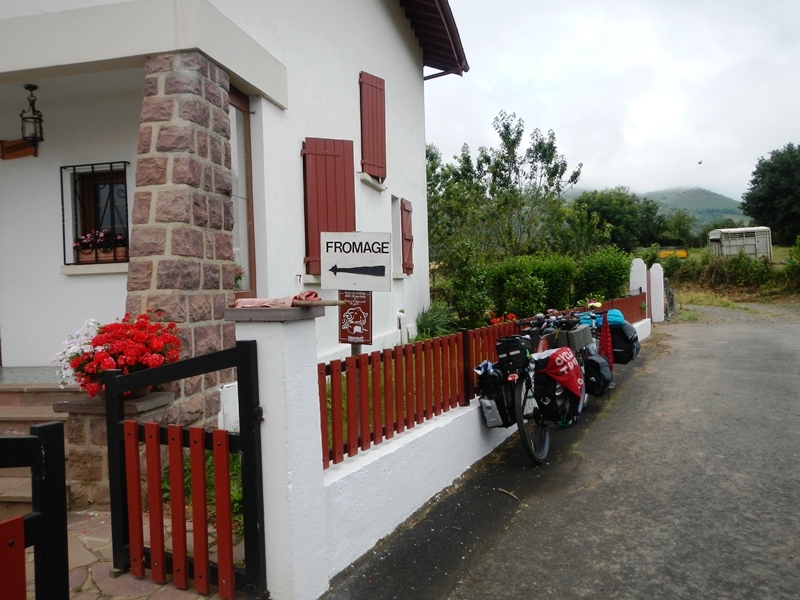 The cheese didn’t last very long, only another 30 minutes of cycling and we stopped and ate it all with the campsite baguette Neola had managed to order the day before. 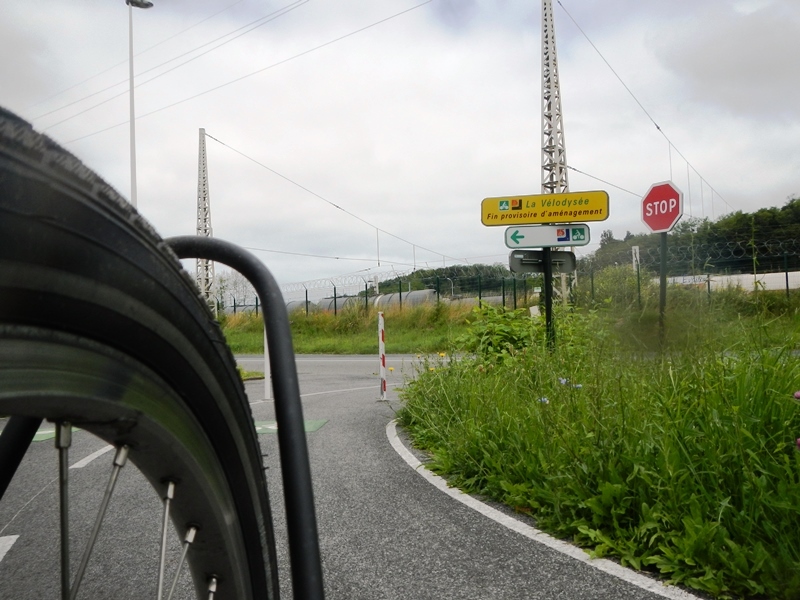 The rest of the day consisted of negotiating lots of roundabouts (French roundabouts are the craziest) until we arrived in Bayonne and finally saw our very first sign for any kind of dedicated cycle route. In this case it was the Eurovelo 1 (or Velodyssey) which starts in Bayonne and goes all the way up the west coast of France. 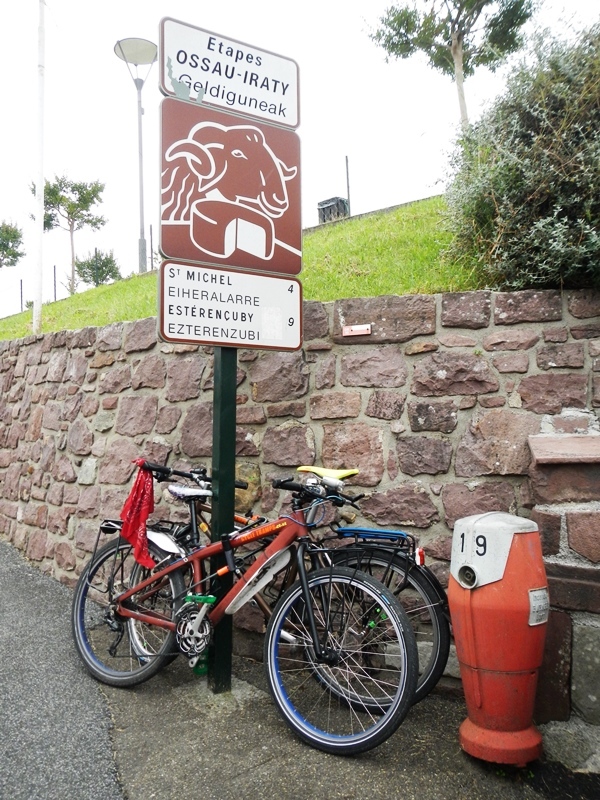 The first part of the route through Bayonne and up the coast are routes that are shared with cars and cyclists but to say the signage was poor is a bit of an understatement. We lost the route after only a few miles when there was no signage at a roundabout and straight on wasn’t the right choice. 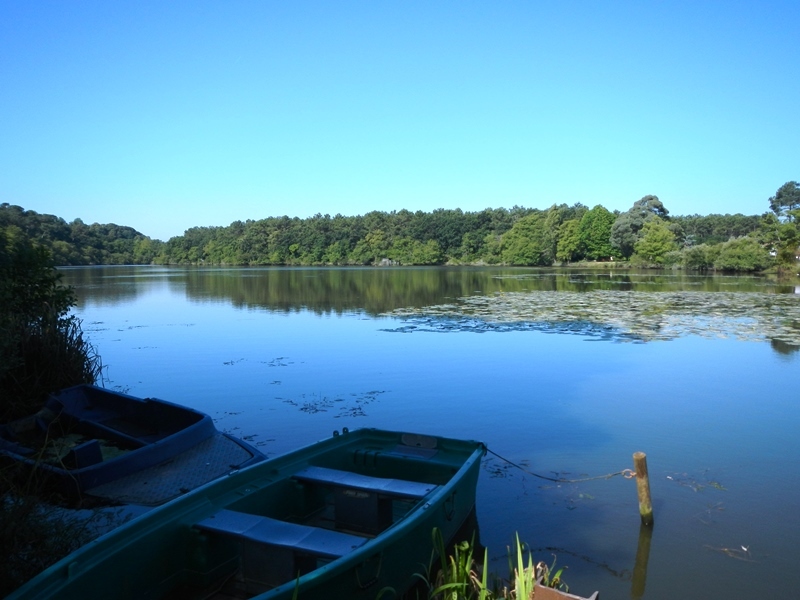 After carrying on north without a cycle route we found a campsite for the night, Camping du Lac. We only realised it was a 5 star campsite after paying more than we had for any other night. It was a bit posher than any other stop we’d made, with two really nice swimming pools and on-site boating lake! It also had a mobile supermarket that turns up every evening at 6:30 to sell you anything you might need at extortionate prices! The “vehicle shops” looked cool, though. Yep, a lobster. Lobby the lobster. 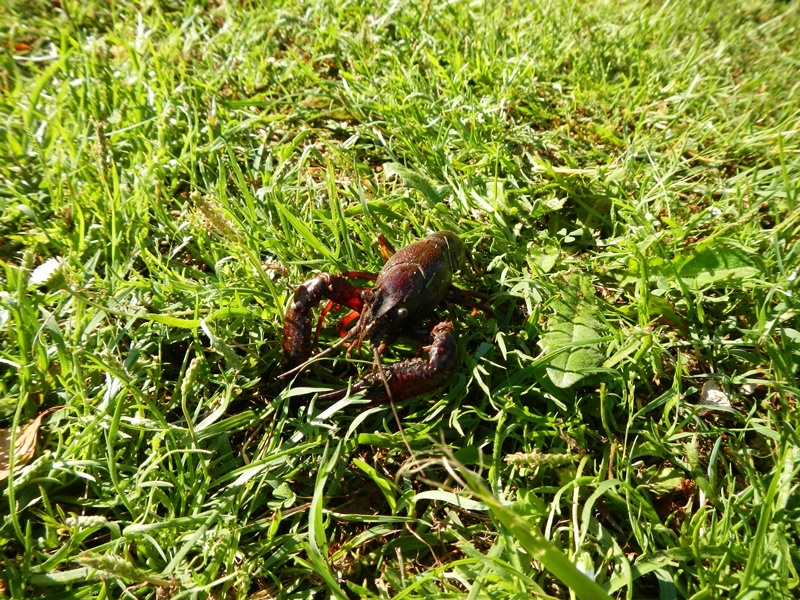 We weren’t that near the sea so the chances of it crawling the 2.5km to our tent were slim, maybe someone released him from a nearby restaurant as a joke? Who knows. He scuttled off and was never seen again. 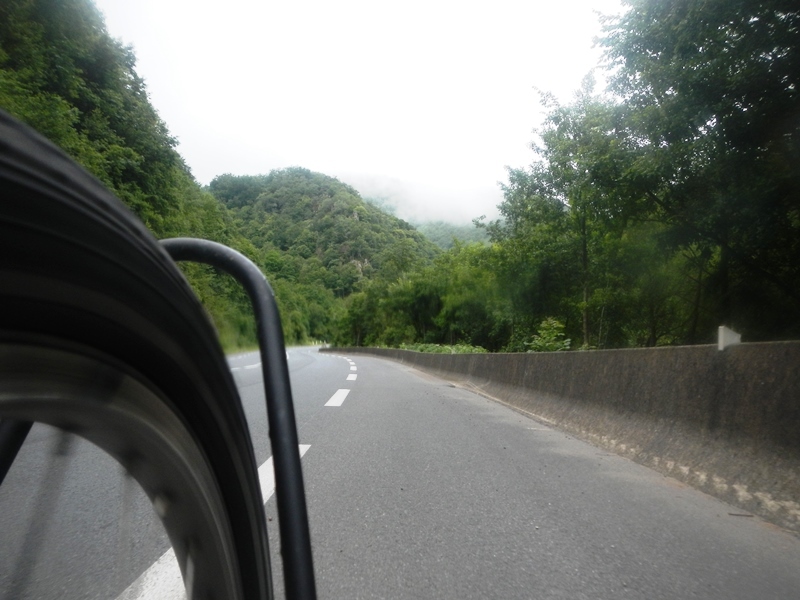 ← One day, three mountains: Bonjour France! 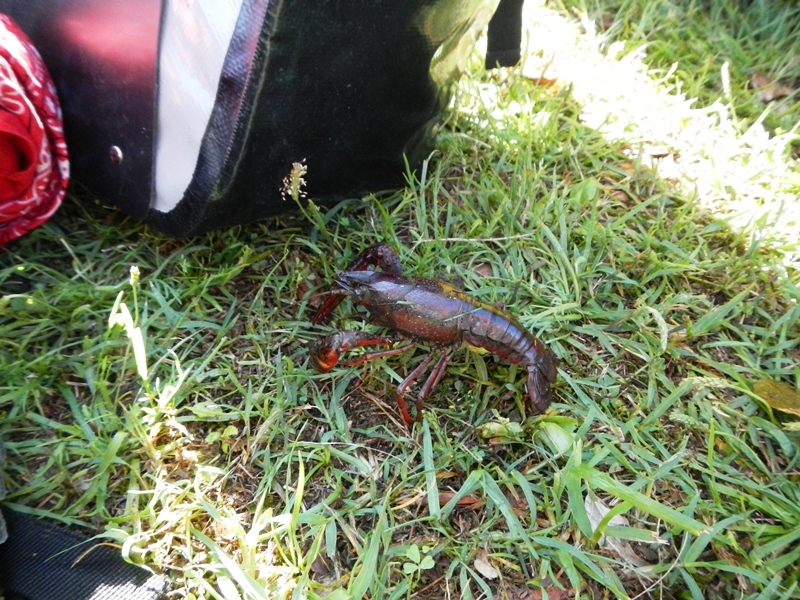 That is insane (finding a lobster in your tent)! haha! Oh yea now that I look at it…but still. I know I would have screamed out of surprise!